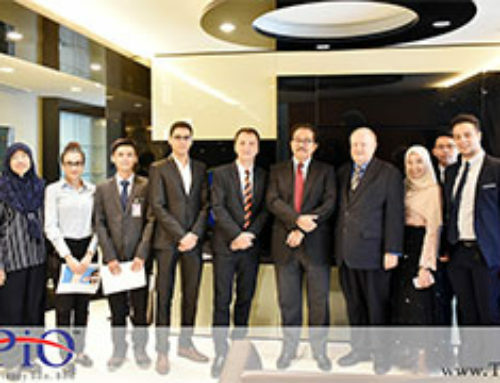 Chairman of TAPiO Management Advisory, Mr. Bernhard Schutte together with Mr. Baidzawi Che Mat Chief Executive Officer and YBhg. Dato’ Ragu Sampasivam, Chief Operating Officer from East Coast Economic Region Development Council (ECERDC) and Mr. Regu Chandar G, Director of Business Development & Facilitation from Northern Corridor Economic Region (NCER) meet with Mr. Patrick O’Donovan TD, Minister of State for Finance, Public Expenditure & Reform and His Excellency Ambassador Eamon Hickey, Ambassador of Ireland to Malaysia at the Malaysian Petroleum Club. Mr. Megat Shah Rizal Noor Ikhsan, General Manager of Agribusiness Division and Mr. Tan Heng Siang, Manager of Corporate Strategic Planning Divison from ECERDC also took part in the meeting. The team after the meeting ended.